Moving can be a huge adjustment, particularly for kids. Thrust into new schools filled with unfamiliar faces, your once-upbeat brood may struggle with insecurity and loneliness. As a parent, you’d do anything to ease their pain and smooth this transition, but what will work? Consider these tried-and-true tips from parents who’ve moved their families multiple times, along with insights from experts on why they work. Laura Marie Crosta Rivera, a museum curator, has moved with her children three times in the past six years because of her husband’s work. She’ll be the first to say it wasn’t always easy, but one thing that helped was getting them involved in decorating their new home. “Having a say in the decor of their room lets kids feel that they have some influence, and that leads to a sense of autonomy,” Ferry says. To take things a step further, you can let them pick out a new desk, bedspread, or other furnishings for their room. Or let them unleash their creativity and create artworks to decorate your new home. 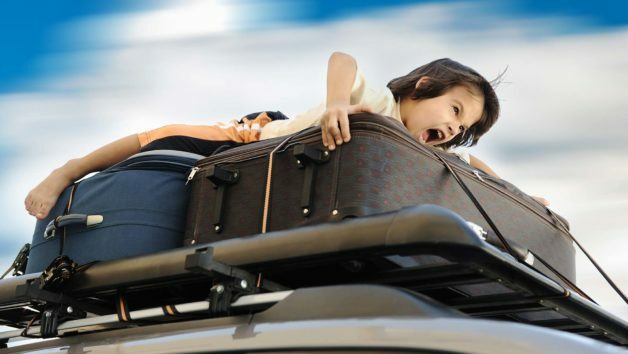 Kids may not love moving, but they do love going on adventures. So play it up! Print a map (or pull it up on your smartphone) highlighting some kid-friendly attractions like museums, toy stores, and movie theaters. Google Maps even has a “find nearby” function to make it easy. Then set out (with binoculars and pirate hat, perhaps?) and pretend you’re explorers discovering a new world. There’s a scientific reason this works as well. “Novel surroundings boost our levels of dopamine, a neurotransmitter that improves our moods,” says Ferry. In other words, the more new sights you see, the happier you’ll be. Team sports force kids to interact and bond over the highs and lows of the game. If your kids aren’t into sports, try another activity they can enjoy with a group, whether that’s a local chess club or the school band. After all, making new friends will get your kids feeling right at home in no time, and the only way to do that is to put it out there that you’re new in town! Vow to introduce yourself to at least one new person per day, preferably someone with kids of a similar age. Or try the MomCo app, which uses GPS coordinates with profile matching so you can meet like-minded parents with same-aged kids nearby. One of children’s big fears when it comes to moving is that they will lose the close friends they had. While you’re helping them make new friends in the area, you can also encourage them to stay connected with their previous pals. “We write letters and FaceTime with them, and that helps,” says McIntyre. Heck, you could even go retro and suggest they actually mail letters. Writing and illustrating letters and actually taking them to the post office can be a special experience—and just think how your children’s eyes will light up when they receive a letter in return.